If you haven’t purchased a Subscription for any online video streaming service thinking that it’s too much money to spend on video streaming, then you’re in for a sweet surprise in this blog. Hi and Welcome to FlickZee Blogs where we keep you updated with the latest happenings in the Digital Media World. And in today’s blog, you’ll get to know about all the online video streaming platforms that are available for free or as a compliment with some other service. Happy reading!! Yay! the free section. 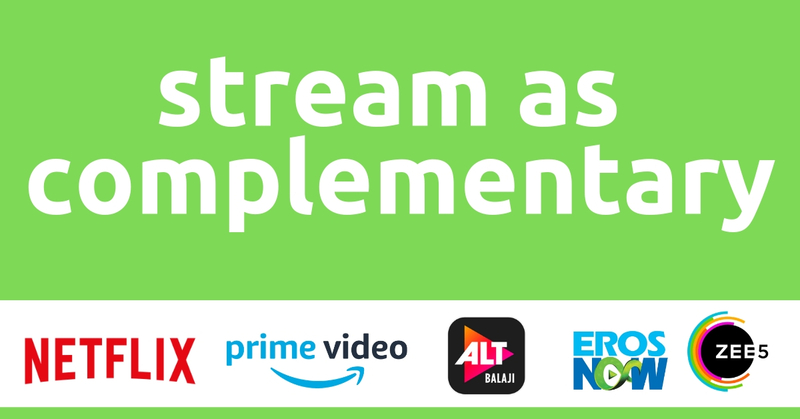 All the video streaming services listed are absolutely free of cost and will not cost even a single penny to stream any of the available content. All you need to do is to log in to their web page or download the app and start streaming your favourite shows and movies. Tubi TV is a FREE video-on-demand streaming service. Yep, you’ve read it correctly, IT IS FREE. While you can enjoy the movies, TV shows or Documentaries on Tubi at absolutely no cost, but you’ll have to watch some commercials in between the video you’re watching. Tubi comes with premium features like HD playback, subtitles, and parental control which you can access for free. 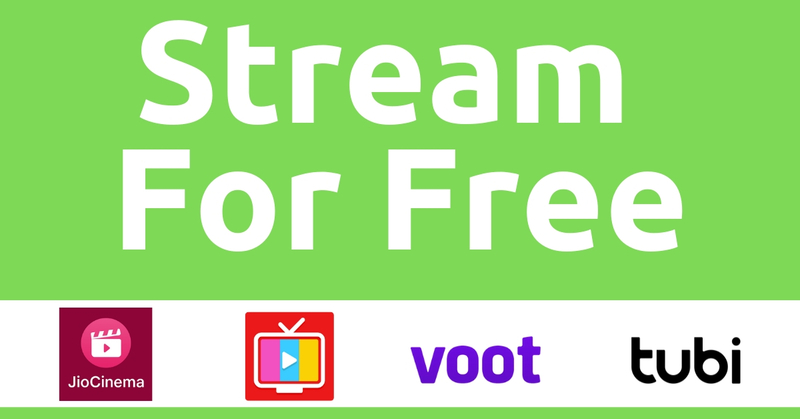 Voot is a free digital video-on-demand streaming service by Viacom 18. But, it is only accessible in India. You can enjoy content from channels like Colors, MTV, VH1, Nickelodeon India, Vice, and News 18. All you need to do is to either go to the Voot website or install the Voot app (iOS and Android), and then register on the platform. Airtel TV app from the leading telecom operator, Airtel, gives you access to some of the premium content from popular streaming services like Eros Now and ALTBalaji for free. They also have a premium plan but customers do not need to pay extra for it as the premium subscription is included in the airtel recharge pack of certain Prepaid and Postpaid plans. Similar to Airtel TV, Jio Cinema is another online video streaming app from the most popular telecom operator in India, Jio. It also offers some of the content from popular streaming services like ALTBalaji and Eros Now to its users for absolutely free. 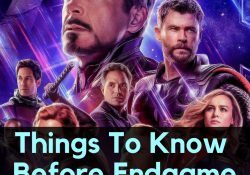 You’ll find certain offers in this section that will make you eligible to access the popular Video-On-Demand services for free. Take a look at the list of such streaming services and the offer with which they come as a compliment. Arguably the most popular online video streaming platform, Netflix, is known for its engaging content; be it movies, TV shows, or Netflix Originals. 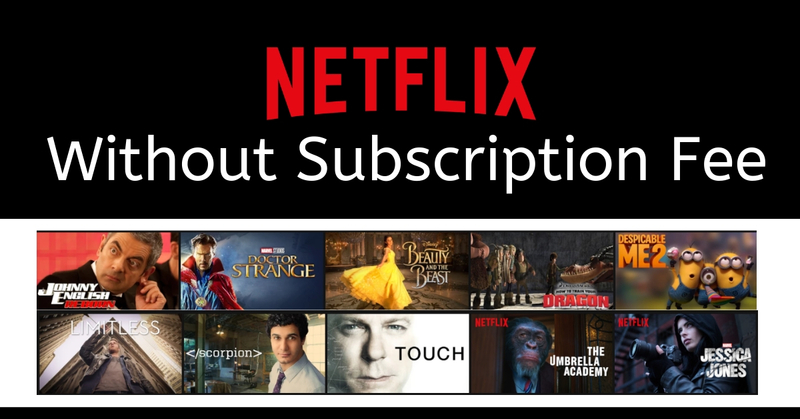 If you don’t want to spend the subscription fee for Netflix, then check out the following offers which can get you a Netflix subscription for free if you’re eligible. Airtel is offering Netflix subscriptions for free to its Postpaid and V-Fiber Broadband Users. Check them out. Airtel Postpaid customers with recharge plans above Rs 499 and above are eligible. Airtel V- Fiber Broadband users with recharge plan of Rs 999 and above are eligible. All eligible Airtel Postpaid customers will get 3 months Netflix subscription for free. All eligible Airtel V-Fiber Broadband users will get 3 months Netflix subscription for free. You need to download or update to the latest My Airtel or Airtel TV app. Sign Up to Netflix using the Airtel TV or My Airtel app. Vodafone is offering multiple Netflix subscriptions for free to its users. Check the details below to see whether you’re eligible or not. Vodafone Red Postpaid subscribers with recharge plans of Rs 499, Rs 1299, Rs 1999, Rs 2999 are eligible. Samsung Galaxy S9/S9+ users with a Vodafone Postpaid sim are also eligible. Eligible users with recharge plans of Rs 999 and Rs1299 will get 2 months of free Netflix subscription. Eligible users with recharge plans of Rs1999 plan will get 3 months of free Netflix subscription. Eligible users with recharge plans of Rs2999 plan will get 1 Year of free Netflix subscription. Eligible Samsung Galaxy S9 /S9+ users will get 1 Year of free Netflix subscription. If you’re a new Vodafone user, then you need to purchase the Vodafone Red postpaid plan of Rs 399 or above. You’ll automatically get the Netflix membership at no extra cost. If you’re an already existing Vodafone Red user of Rs 399 or above plan, then download or update to the latest Vodafone Play app. Open it, and tap on the Netflix Subscription promotional banner. If you’re not eligible in any of the above offer, then don’t worry, Netflix offers a free trial for 30 days to every new user which provided access to Netflix’s complete catalogue. Though you have to enter the payment details and once the trial period gets over, you will be charged automatically. Amazon Prime Video is the prime rival of Netflix that also offers quality content including movies, TV shows, and Prime Originals. Check out the following subscription offers to get the Prime Membership for free. Airtel is offering Prime membership for free to its Postpaid and V-Fiber Broadband Users. Check them out. All eligible users will get 1 year of Amazon Prime Subscription for free. Sign Up to Prime Video using the Airtel TV or My Airtel app. 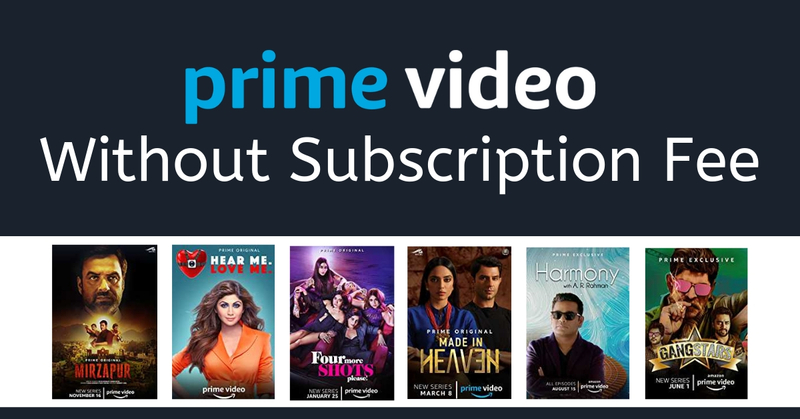 Your offer period will begin soon as you log in to your Prime Video account. You can get a year’s subscription of Amazon Prime Video for free with Vodafone. Check out the details below. Eligible users will get 1 year of Prime Video Subscription for free. If you’re a new Vodafone user, then you need to purchase the Vodafone Red postpaid plan of Rs 399 or above. You’ll automatically get the Prime membership at no extra cost. If you’re an already existing Vodafone Red user of Rs 399 or above plan, then download or update to the latest Vodafone Play app. Open it, and tap on the Prime Video promotional banner. Eligible BSNL users will 1 year of Prime membership for free. Check out the eligibility and other details below. All BSNL users with a mobile postpaid plan of Rs 399 and above. All BSNL landline broadband users with a recharge plan of Rs 745 and above. Visit BSNL website and click on the Prime Video promotional banner. Sign in with your authentic BSNL number and Enter the OTP received on that number. Once the authentication is done, then you’ll need to insert the Amazon login details on the subsequent page. If you can’t redeem any of the above then there’s another option as well. Amazon Prime has a 30-day trial for first-time prime users. After the payment method is added and the trial begins, the user has 30 days before payment is automatically deducted from their account. ALTBalaji is known for its huge library of Indian youth-oriented content. And this is what that made ALT Balaji popular in India. With a seemingly never-ending content catalogue, ALTBalaji is for sure a great entertainment. 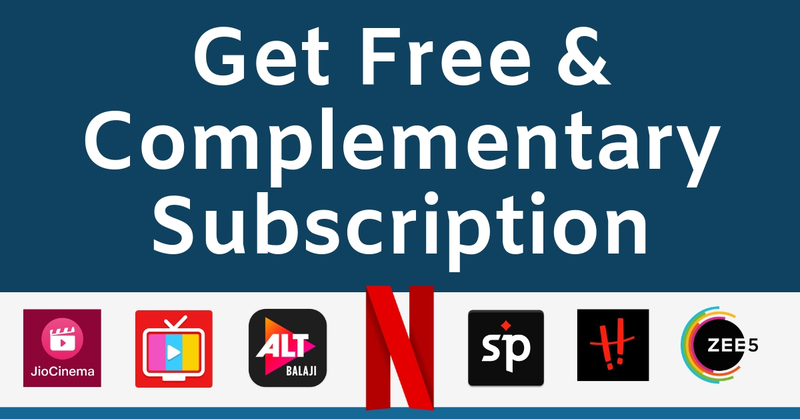 If you’re looking to stream ALTBalaji for free, then check out the following offers. Eligible Airtel TV users will get access to Alt Balaji’s content for free. Prepaid users with an unlimited pack of Rs 90 and above are eligible. Eligible users can stream the content of Alt Balaji for free on Airtel Tv app. Download or update the latest Airtel TV app. 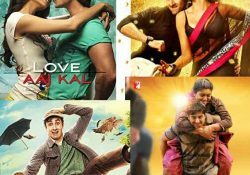 Jio users can use Jio Cinema app to watch the content of Alt Balaji for free. You need to have a Jio SIM with an active recharge plan. Eligible users will get access to Alt Balaji’s premium content. Go to the Jio CInema website or download or update to the latest Jio Cinema app. Log in using your Jio phone number. Enjoy Alt Balaji without paying a subscription fee. Vodafone Play users can enjoy the whole content catalogue of ALTBalaji for free on their Vodafone play app. Check out the eligibility and other details below. All Vodafone prepaid users with a recharge plan of Rs 255 and more. All Vodafone postpaid users are eligible for this offer. Eligible users will get access to every movie and TV show of Alt Balaji. Download or update the latest Vodafone Play app. Sign in using the required credentials. Soon as you get authenticated, you can enjoy the Alt Balaji content on your Vodafone Play app. If you aren’t a user of Airtel, Vodafone, or Jio, then don’t worry; you can still access most of the Alt Balaji content for free on MX Player. Want to know how? Read the details below. You need to have the latest MX Player app. Eligible users can stream select content from Alt Balaji without paying a single dime. Download or update to the latest MX Player app. Open the app and go the online section of MX Player. Enjoy the content from Alt Balaji and other streaming services. With a huge content catalogue along with a vast library of Live TV channels, Zee5 has a lot of entertainment content for its users. But most of it requires you to pay for a Zee5 subscription. 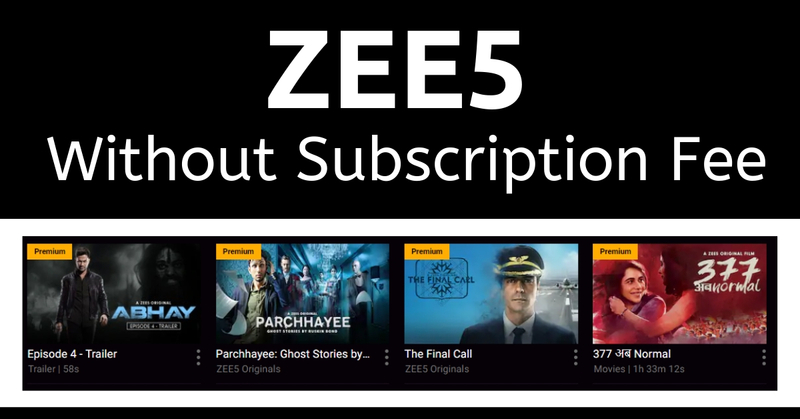 If you don’t want to shell out some money for a subscription, then check out the following ways to get a Zee5 subscription for free. Eligible Airtel customers will get free access to a limited section of Zee5 Premium Content excluding Zee5 Originals and ‘Before TV’ Movies. Postpaid users with an unlimited pack of Rs 299 or more. Prepaid users with unlimited recharge pack of Rs 299 or more. Eligible users will get access to select content on Zee5 Premium. Download or update the latest My Airtel App. Login to the app and click on #airtelThanks banner. You have now claimed the offer. Enjoy!! If you’re a Gaana user, then you can enjoy some free Zee5 with it. Check the details below. You should have a Gaana Plus subscription to be eligible for this offer. All eligible users will get an exclusive subscription of Zee5 for absolutely free. Download or update the latest Gaana App or go to the Gaana Website. Login to your Gaana Plus account. Soon as you log in, you have a Zee5 subscription. Enjoy!! Contrary to many other VOD platforms, Zee5 allows free users to download the Movies or TV Shows for offline usage. A user just needs to create an account to download a movie or tv show offline and then watch it later. If you want an exclusive Hollywood entertainment, then HOOQ is the way. 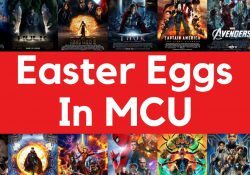 This online video streaming platform is a collaboration with Sony Pictures, Warner Brothers & Singtel which ensures a really good content catalogue in quality as well as quantity. Check out the following offers to get HOOQ subscription for free. Airtel TV users are in for a treat with this offer. Check out the eligibility and other details below. All Airtel TV users are eligible for this offer. Airtel users can access HOOQ content through their app for free. If you’re an Airtel Sim Card Holder, the download and login to the Airtel TV android or iOS app. If you’ve already downloaded the Airtel TV app, then update it to the latest version. Soon as you log in, you can search and stream HOOQ’s content o your Airtel TV app. Vodafone is offering free HOOQ subscriptions on their Vodafone Play app. All Vodafone Play app users are eligible for this offer. If you’re a Vodafone Sim Card Holder, the download and login to the Vodafone Play android or iOS app. If you’ve already downloaded the Vodafone Play app, then update it to the latest version. Soon as you log in, you can search and stream HOOQ’s content o your Vodafone Play app. 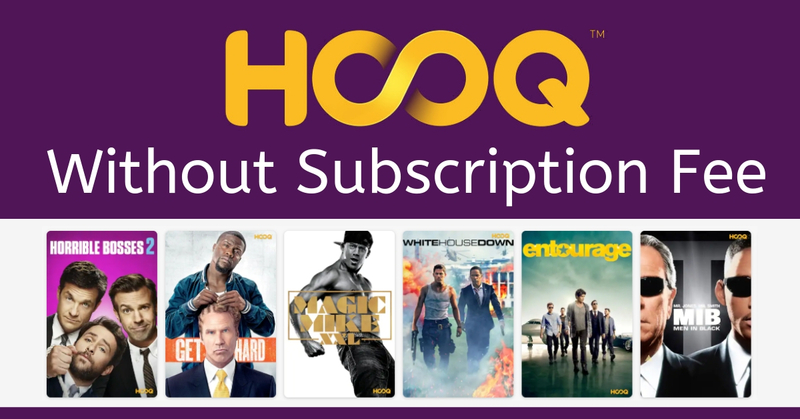 If you have an ACT subscription, you will get a free subscription for HOOQ. Check the details below. You should have an ACT Fibernet connection to be eligible for this offer. ACT Fibernet subscribers get 2 months free HOOQ subscription. If you’re an ACT Fibernet subscriber, then you can enjoy a free trial of HOOQ for 2 months. Post the free trial, the subscription will be charged at INR 79 per month and will be added to the ACT Fibernet bill. Being one of the most popular video-on-demand streaming services, Hotstar also offers content from HOOQ for its users. Check out the details below. All Hotstar subscribers are eligible for this offer. Hotstar offers HOOQ’s content on its app to its Users. Download or update to the latest Hotstar app. Login and get an active subscription of Hotstar, if you don’t have any. Soon as you complete step 1 and 2, you can stream HOOQ content available on Hotstar App. Most of the HoiChoi content can be watched for free, legally on the following streaming apps of partnered telecom operators. 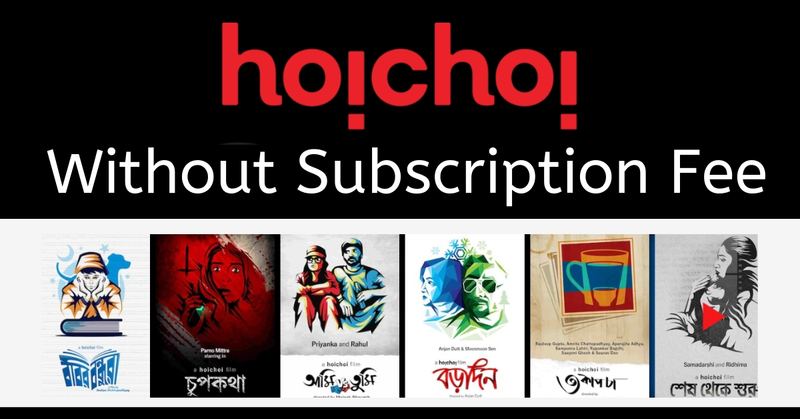 Check out the following schemes to know whether you are eligible to access Hoichoi content for free or not. All the Airtel TV app users can watch Hoichoi Bengali movies and Originals on the app itself. Hoichoi has also announced 30 Original Shows and 12 Original Films to be released this year which will be completely available on Airtel TV making it on average 2 shows and 1 Original film every month! All users of Airtel TV. Download or update to the latest Airtel TV app. Start exploring the Hoichoi content on Airtel TV app. All the Vodafone Play app users can watch Hoichoi Bengali movies and Originals on the app itself. All users of Vodafone Play. Download or update to the latest Vodafone Play app. Now you can enjoy the exclusive Hoichoi content on Vodafone Play app. All the Idea Movies & TV app users can watch Hoichoi Bengali movies and Originals on the app itself. All users of Idea Movies & TV. Download or update to the latest Idea Movies & TV app. Now you can stream exclusive Hoichoi content on Idea Movies & TV app. Hungama Play offers a vast array of content including 5000+ movies and 1500+ hours of TV content. Along with that, you can also enjoy thousands of song on Hungama. But the good news is that you don’t need to pay anything to get the Hungama Play subscription with the following offers. Check them out. A free 3-month subscription is available for users of Mi TV. All Mi TV users are eligible to enjoy the benefits of this offer. Cloud TV X2 users can avail a free 3-month subscription of Hungama Play. All Cloud TV X2 users are eligible for this offer. Spuul is a growing online video streaming service with over 90 live TV channels and 1000+ titles of movies & TV show. Spuul doesn’t offer a free subscription offer as of now but you can watch Spuul content for free in the following ways. 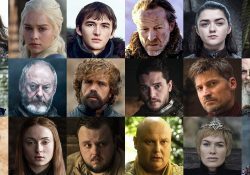 Being one of the most popular video-on-demand streaming services, Hotstar also offers content from Spuul for its users. Check out the details below. You need to take an Ola Prime Play ride to be eligible for this offer. 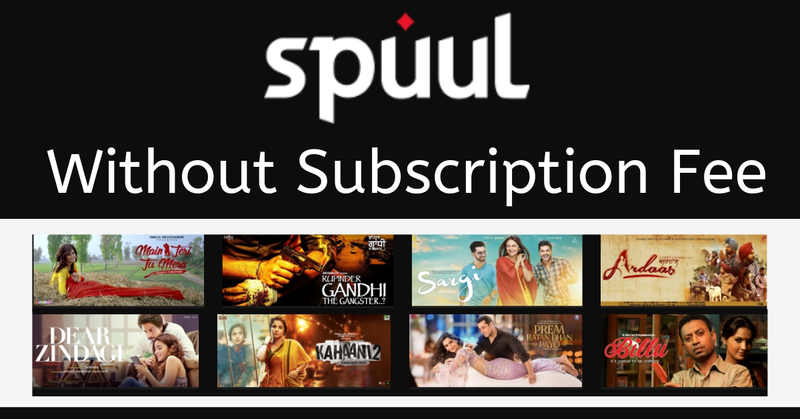 Eligible users can stream Spuul for free in the cab. Book an Ola Prime Play cab. Enter the OTP in the tablet attached to the seat of the cab. Enjoy the premium Spuul content without paying any subscription charges. Shalin is a Psychological thriller buff and a music lover who loves to talk about good art, whether it be music, movies, paintings or thoughts.